New York - Hundreds of activists rallied on Thursday in front of Donald Trump’s hotel in midtown New York City to condemn the Republican 2016 presidential candidate’s call to bar Muslims temporarily from entering the United States. Chanting “Dump Trump” and “refugees welcome,” the protesters castigated Trump’s comments. Trump’s statement, which has drawn widespread criticism both at home and abroad, came in response to the deadly shootings in San Bernardino, California, last week, in which a married Muslim couple described as “radicalized” by authorities killed 14 people. On Thursday, Trump canceled a planned trip to Israel amid the uproar. 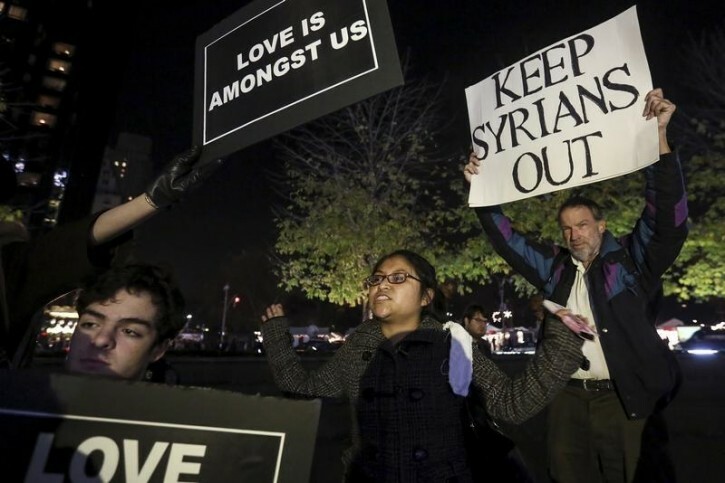 Some protesters said Trump’s comments, while more explicit, were not that far removed from statements by other politicians calling for restrictions on Syrian refugees who want to settle in the United States. 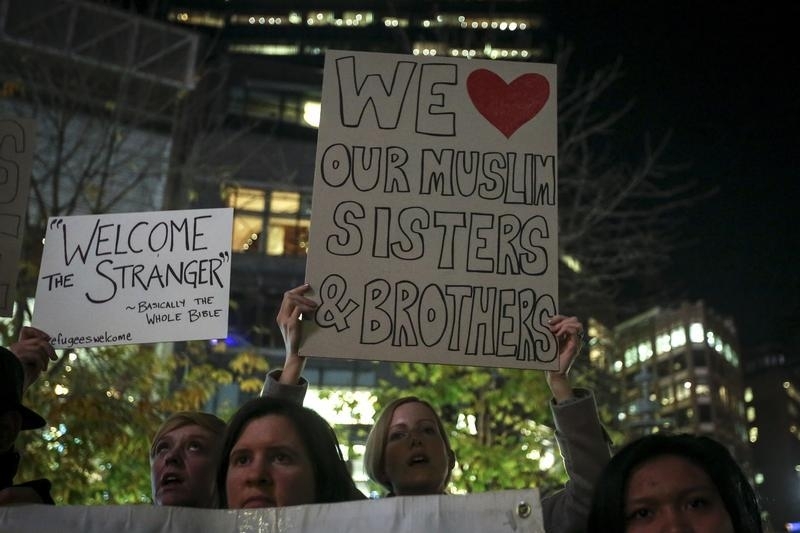 Others warned that Trump’s divisive remarks were only intensifying a wave of Islamophobia. Some Muslims at the rally said they feared attacks and discrimination would increase in the wake of the shootings, much as they did following the Sept. 11, 2001, attacks by al Qaeda. Amira Kariem, 16, said her father forced her mother to stop wearing her head scarf for two weeks following those attacks, while her friend, Iman Sahel, 17, said her aunt was pushed to the ground. “There are people who are just like him,” Sahel said of Trump. The rally’s speakers included Hussam Al Roustom, a Syrian refugee who arrived in New Jersey four months ago after fleeing the war-torn city of Homs. It's not fair what we are doing to our Moslem cousins. If I were them, I'd leave, inshalla! I think these are the same people I saw at the BDS rally.